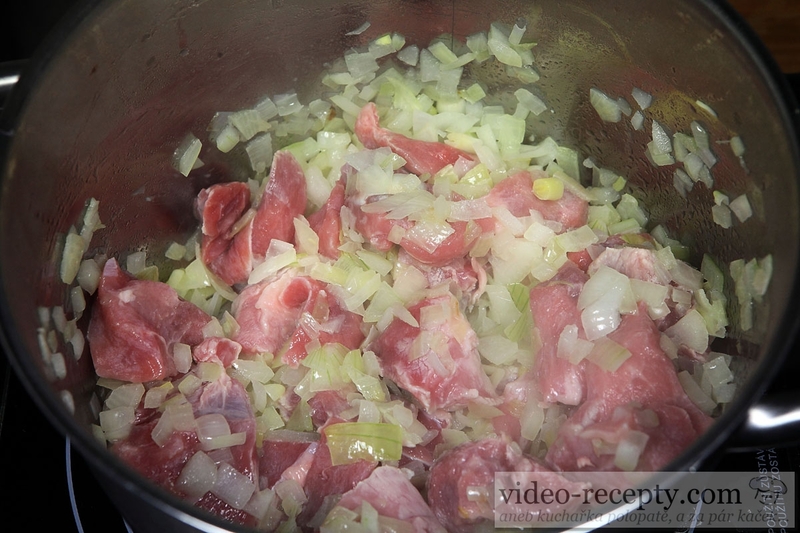 Pork goulash will start slicing onions, that you add to the spoon of melted lard. 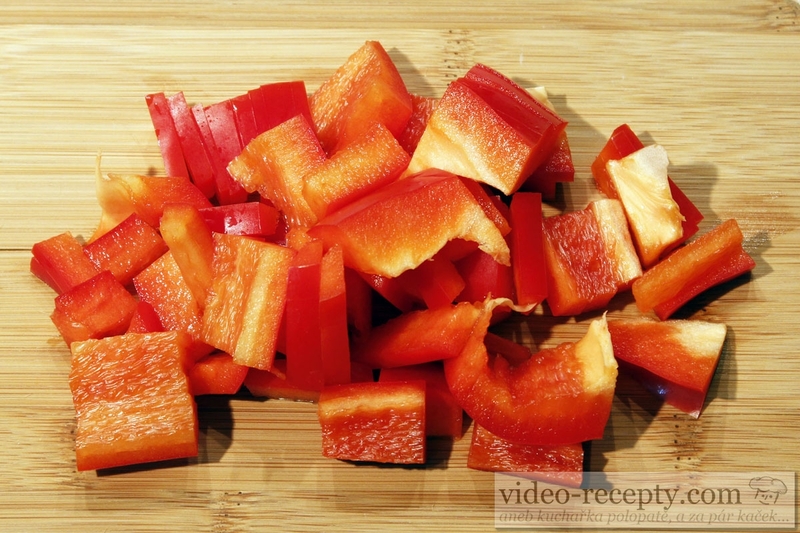 Fry for about 2 minutes and when it begins to lose its color, throw in meat cut into pieces. The size of meat is up to you, but remember that the meat shrinks by about half. Add 2 teaspoons paprika, 1/4 teaspoon salt, a teaspoon dried vegetables for a better taste, 1/4 teaspoon pepper, a little water, a tablespoon of tomato puree, a heaping teaspoon marjoram and simmer with the lid on. 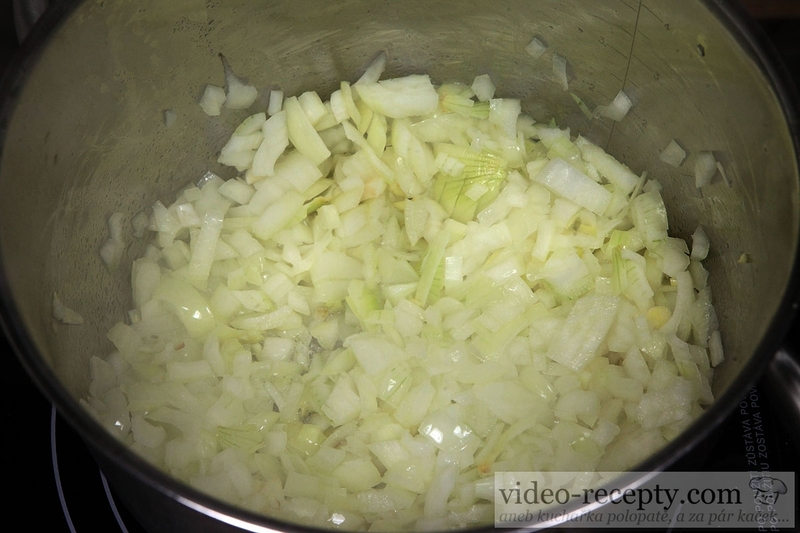 Check the amount of water continuously, and add it in small doses so that the fat contained in the meat dissolves. If there was too much water meat would be just cooked. 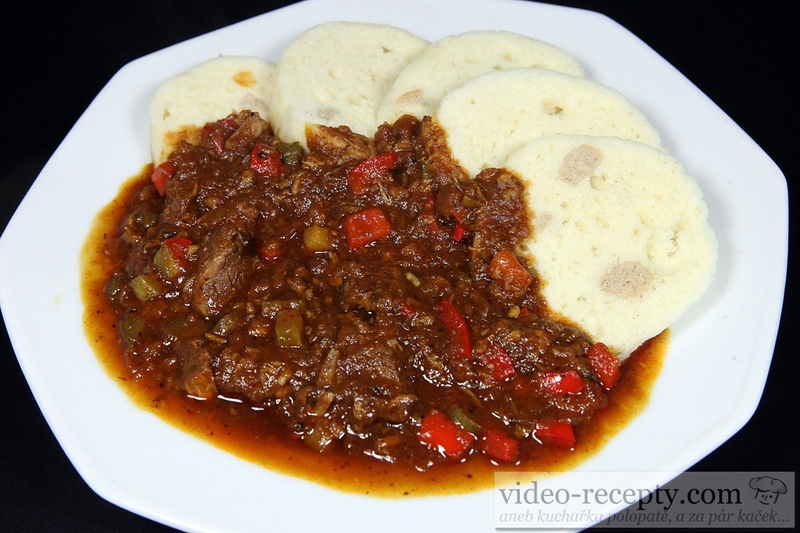 When the meat is tender, pour as much water as you want goulash, throw in the chopped peppers and simmer pork goulash for about 3 minutes. 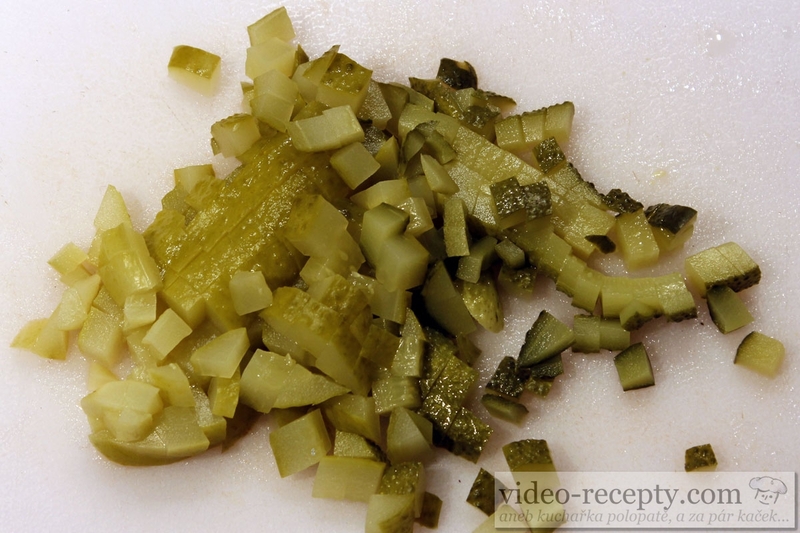 Then add 2 canned diced cucumbers, thicken with approximately 2 tablespoons of bread crumbs and simmer about 5 minutes. This will dissolve the bread and spicy pork goulash thickens. If that was not enough, add another tablespoon of bread crumbs and simmer again for 5 minutes. 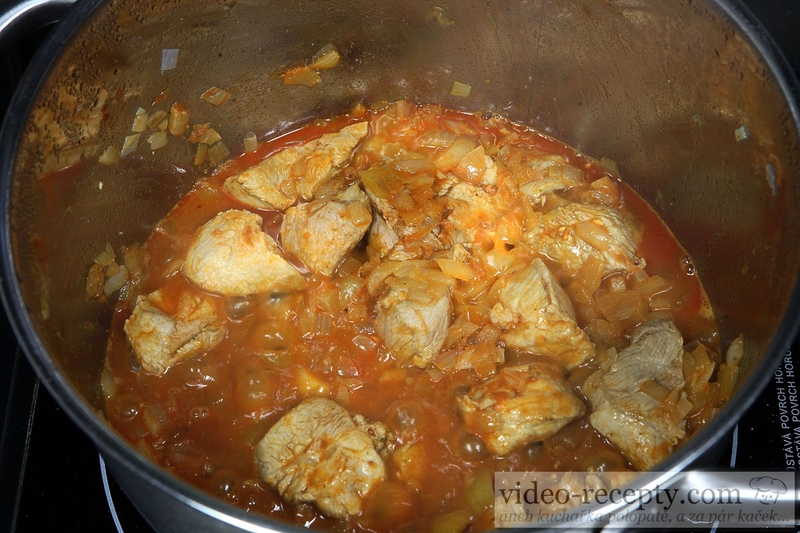 At the very end, add the crushed garlic, saute for about a minute and a spicy pork goulash is ready. 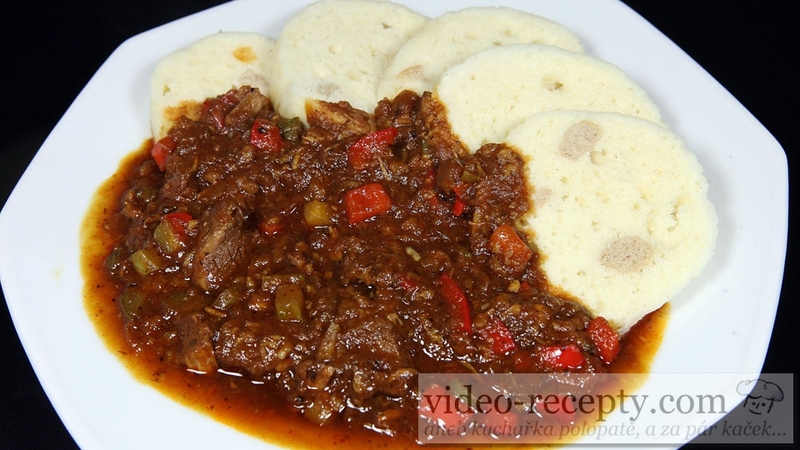 Goulash can be served with bread, rice, dumplings, pastry, potato fritters, potato, or just with what you like.